I feel sorry for the delivery man! I’m sure most parents say this at some point, but I actually think my child will never be toilet trained. I bought Lightning McQueen underwear for my 3-year-old son as an incentive to move from his pull-up nappies. He didn’t seem particularly thrilled with his ‘present’. Twice today while I was stuck in an armchair breastfeeding the new baby, my eldest son weed on the floor. I told him to stand still, but he stepped in the smelly puddle in his socks, and then proceeded to stamp smelly little footprints all over the house. The second time this happened, a young delivery man turned up with my groceries. He looked a little scared. I felt like I was in one of those twenty minute sitcoms where everything keeps going wrong! 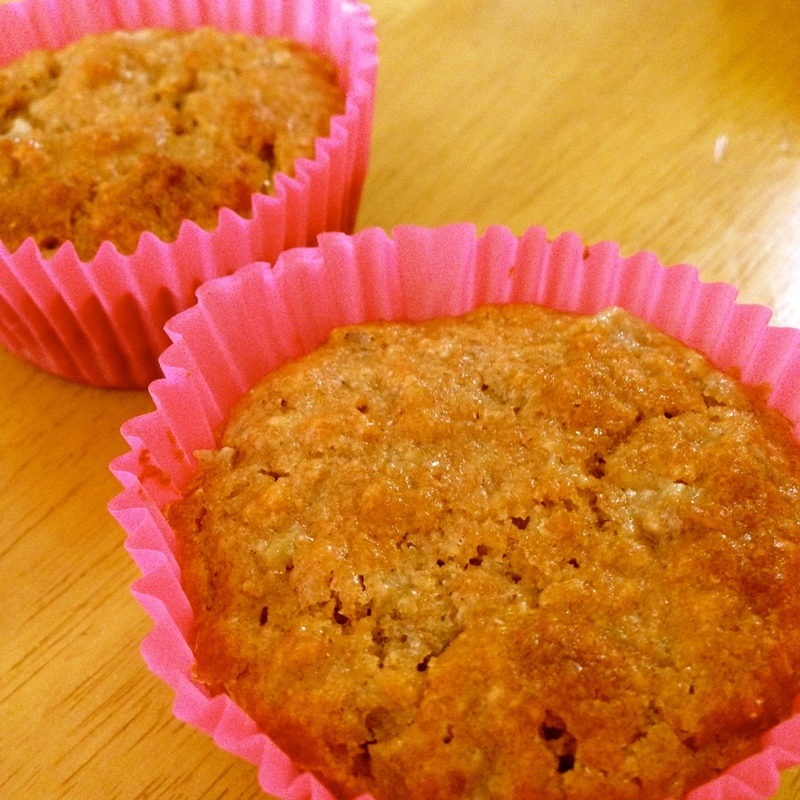 However, in between the bedlam, I managed to make these lovely Rhubarb and Cashew Muffins, recipe by Janella Purcell, the previous ‘Good Chef’ on Australian TV show Good Chef Bad Chef. It was the first time I had cooked with rhubarb, and I liked it. Sort of like celery with flavour!